From Where You Come. Meet them from where they come. Jack Butala: Today, Jill and I talk about meeting people from where they come, specifically sellers. Jill’s a pro at it. Jack Butala: She’s going to tell us the secrets and I’m going to tell you why I’m not the person the seller talks to in our little group here. Jack Butala: I think it’s a talent. Jill DeWit: Do you think everybody can do it? Jack Butala: I think I can’t do it. Jill DeWit: Have you tried? Jack Butala: Not for a decade. Jill DeWit: Well, maybe if you try, you’d stand a better chance. Jill DeWit: Passing it off to me. Jack Butala: With my head in the computer. Jill DeWit: Uh-huh (affirmative). That’s a good thing you’re good at that. Jack Butala: … Let’s take a question posted by one of our members on the JackJill.com online community. It’s free. Jill DeWit: Ryan asks, “Hey Jack, as a follow-up, I wanted to thank you so much for your podcast. 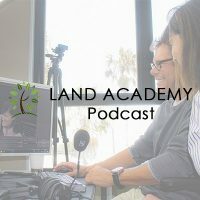 Having learned a ton these past few months, you covered my purchase of six acres outside Austin for $12,000 on the podcast. We recently received an offer for $100,000, but turned it down.” Oh my gosh! “We’re getting the parcel rezoned and adding physical access and to hopefully further increase its value and have added five other large parcels since. One bought for $8,000 and looking to sell for $30,000 plus. One for $25,000, with a lot of interest at $50,000 to buy, and three others we’re sorting through contracts.” Oh my gosh! Jack Butala: Can you imagine? I mean, they’re sitting on a quarter of a million dollars of equity. Jack Butala: They don’t know what they’re doing yet. Jill DeWit: Uh-huh (affirmative). Isn’t it awesome? Jack Butala: I’m liquid proud. Jack Butala: Truly amazing, Ryan. Jill DeWit: I’m like, this is one of the things that is mind-boggling to me too that I can’t think of any other business where you could ramp up this fast. Jill DeWit: I mean, three months? That’s insane. Nobody gets that kind of returns. I don’t care what kind of shop or store or whatever you do, you certainly can’t get a college education in three months to be a lawyer or something. I mean, come on. I mean, it’s crazy. Jack Butala: I don’t think you get a trophy for doing it the fastest. In this game, I think you get a trophy for doing it the most profitable. If you can combine the two, that’s even better. However, for whatever reason, he’s found this little niche. Here’s what I think. Between the lines on all this whole comment, on this topic. What I think is what’s going on, is they’re not afraid to spend $6,000. I think there’s a lot of trepidation, especially for new people to spend that. Like Jill and I, I added it up, like last week, we spent, I don’t know, $500,000 or $600,000. Jill DeWit: You’re so funny. Jill DeWit: You’re just so funny. I hear you. We’re spending. Money just flies out the door on property, because it’s property. It’s not a big deal. 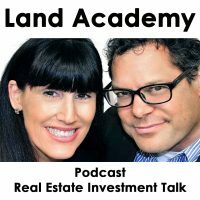 Jack Butala: It’s real estate. Jill DeWit: But, I’m looking at office furniture right now. Like, “I don’t know if I want to spend that much.” It’s so darn funny. Jack Butala: I agree with that. Jill DeWit: Unlike, “Well, I really shopped around. I think we can do …” I spent a couple of hundred dollars on my desk. It’s not even … I think it’s cool and modern. You haven’t even seen it yet, anyway. Jack Butala: I was asked to stay out of this office. Jill DeWit: I had to really think about it. Now, I’m like, this is hilarious. It’s funny, but anyway. I hear you. For property, they know the value. They get it. Jack Butala: Some people just have the confidence and they’re looking at the data thing. You know what? We just can’t lose on this thing. Jack Butala: Or, within reason, we can’t lose. Jill DeWit: It checks all the boxes. Like, look at all the other properties for sale in the area and see the interest. Jack Butala: I don’t even hesitate anymore. Jill DeWit: Yes, this is a good buy. Jill DeWit: You just move on it. Jack Butala: That’s what I’m hearing Ryan saying here. That’s why he’s doing so well. Jack Butala: It’s not beyond his risk threshold to spend $6,000 in a business that he’s only been in for three months. To just see what happens. Maybe, I’ll make $12,000, maybe I’ll make $100,000. That’s my attitude on it all the time. Jill DeWit: Exactly. Here’s another point too, is when I talk to people that are thinking about doing this. You have to have A, be comfortable, like you just said, writing a check for $12,000. I mean, that’s a big deal for some people. Then, B, have the money. I mean, you don’t want to be borrowing and worrying. Jack Butala: That takes the fun out of it. Jill DeWit: It does. If you have to save it up, save it up. Spend six months putting away a little chunk of cash so you can do it right and then don’t look back. Jack Butala: Exactly. Today’s topic, meeting people from where they come, specifically sellers. This is the meat of the show. Jill, tell us your secret. What happens when a seller calls in. I’m going to paint the picture for you. Jack Butala: You know me, I send out a bazillion letters. I stick your name on the bottom and your phone number and then your email address. Jill DeWit: Call Jill and you’re off. Jill DeWit: Then, poor Jack. If you call, that’s where you’d be, but you don’t call. Then, you go get on the boat, go out, see you. My work’s done. Jill DeWit: You know what? Even for every single person, so let me back up. We’ve been doing this for land forever. I have a team. My team is pretty much doing all the land stuff, but under my direction. Now, we are starting up our House Academy, so we’re ramping up the house version of this. I took the calls for a couple of days. I wanted to get these calls. Jack Butala: I know. That’s what cracks me up. Jill DeWit: It’s so funny because even what you call the hate calls, they weren’t that bad. I got just a handful. It was like two days and I think I got three or something, if that, and only one that was really kind of bad, but all I do, it just makes me laugh. It’s just so funny. That’s important to them and that’s okay. I do it with our sellers. I do it with you, Jack. I do it with our kids. You have to really take a step back and go, “All right.” You know the whole saying, “Believe in this.” It’s their perception. You know what? Right or wrong. It’s their perception. It’s like the same thing. You have to think like that. When you’re talking to sellers and they call in and this is a big deal for them. You have to take a step back and go, “You know what? It might only be a stupid $12,000 to me, but man, this $12,000 is going to make a huge difference in their life. That’s meeting them from where they come and taking it a notch back and trying to put yourself in their shoes for a minute. Jack Butala: I’m a jerk. For her, yeah. I was like, “Okay.” Sometimes, you know, meeting them from where they come, doing a little bit of a nice thing too like that, “Sure, an extra 100 bucks is going to make the difference for you. I can do that. Yeah.” Boy, everybody walks away happy. Jack Butala: I’m going to throw out a few situations. I’d love to hear how you handle them. Jack Butala: Seller calls back and says, “Thanks for your letter. I got your letter. I really am interested in selling my house. You sent the letter for $350,000. You don’t understand. I just put a pool in or my son put a pool in 10 years ago. We’ve only used it three times.” Then, it starts down the path. What do you do there? Do you just listen? Jack Butala: You just listen to the whole thing. Jill DeWit: Yeah. Well, you know what? Jack Butala: That’s the difference between you and me. Jill DeWit: Here’s what’s so funny because I was talking about this with my team, my House Academy team right now. We’re revising and updating and adding to their checklist base. When these people call in, like solar panels. Jack Butala: Excellent. This is good stuff. Jill DeWit: … to make a decision. But, what the point of this is, when you sit back and let them talk, you pick up on things that are on your checklist. Jack Butala: It takes a long time. Jill DeWit: Things you need to know. Like, I just wrote that last check for the taxes, and it about killed me. Well, tax is current, check. You know what I mean? There’s stuff like that, you just pick up on. They talk about, “I know it needs a roof.” All right. Note to self. Thank you. Needs roof. Whatever. You’re picking up on things by letting them talk. Sometimes, even just letting them talk, they think you’re befriending them. Jack Butala: I know you’re right. This is so painful. Jill DeWit: That’s all you need to do. Then, you just have to have the right person answering the phone and it’s clearly not you. Jack Butala: The right person in this situation prices the property and gets the mail out. Jack Butala: I just shake my head. I can’t believe it. Jill DeWit: We clearly … This is what we should be doing. We’ve gotten busy in other parts of our business and that’s distracted us a little bit. Like offices, office space. Jill DeWit: Just other stuff. Jack Butala: Offers to owners. Jill DeWit: You know what? At the end of the day, what’s important is buying and selling these assets. Jack Butala: I think so too. Jill DeWit: That is what we’re good at. Jack Butala: You know what else I was thinking yesterday too because we were talking about … We have a bunch of properties. We have a bunch of accumulated fantastic assets that are in the process of being resold. What I was thinking was, the land piece of this, I started in the late ’90s. You came along, but this house thing, you and I cranked this up together. Jack Butala: From the ground up. Jack Butala: I mean, we were doing it for a while and we still do it for a while with one guy. Jack Butala: Which, is how I learned that there’s so much money in it, but this is ground up, you and I. We designed it. Jack Butala: The software, all of it. Jack Butala: Like, you’re building out the CRM about the questions people are supposed to ask. Jill DeWit: Building out the team to finding the different roles. Jack Butala: The right people. Jill DeWit: With the transaction coordinators, boots on the ground and all of that. Jack Butala: That’s pretty powerful. Jack Butala: We’re bringing a lot of experience, just real world actual experience to the table on this thing. It’s different than land. Jill DeWit: But you know what’s so funny? I was just going to say, it’s not that far. 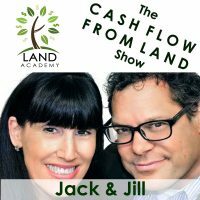 Jack Butala: Two days from now, we’re scheduled to do a show called Land versus Houses. Jack Butala: We’ll talk about all that. Jill DeWit: Good. I’m excited. You’re telling me, save it. Jack Butala: We could just do one big long 15 hour. Jill DeWit: Oh my God! Jack Butala: We could cover it all and then we could … How awful would that be? Jill DeWit: Take a month off? What the heck is that? That would not be good. Jack Butala: Sometimes, I watch movies on like Netflix produced series. I swear, it’s like one 15-hour movie and they just turn the camera off at the hour point. Jack Butala: Then, they turn it back on. Jill DeWit: That’s true. I get it. Jack Butala: I envy that. Jack Butala: You’ve done it again. You’ve spent another 15 minutes with us, listening to the Jack and Jill show. Join us tomorrow, where we talk about what really motivates you? I mean, really deep down, not like what you think should motivate you because that sometimes can put you in the wrong position. Jill DeWit: What you think you should be motivated by, that could you put you in the worst position. Jack Butala: A lot of crazy things just came to mind. Jill DeWit: Oh my gosh! And, we answer your questions should you have one. Post it on JackJill.com. Jack Butala: You are not alone in your real estate ambition. What really motivates you? Jill DeWit: I’ll have to think about it. Jack Butala: Turn the mic off and then turn it back on. Right now. Jill DeWit: I have to think about that a lot. What does that mean? Jack Butala: It’s just a producer joke. Jill DeWit: I don’t understand that. Mic off, mic on, mic off, mic on. Jill DeWit: You know what? There’s these core things … There’s things that you think, money, or whatever, the house, or whatever. Jack Butala: It’s never money, by the way. Jill DeWit: It’s never that. You have to really sit and think about it. That’s what’s so funny. You could easily rattle off five things that motivate you, but you have to really sit and think. Jack Butala: I’ll bet you a dollar. Jill DeWit: What’s the underlying thing? Jack Butala: I’ll bet you a dollar the top five you think of are not actually really motivate you. Jill DeWit: No, they’re not. Jack Butala: It’s a difference between lust and love. Jill DeWit: There’s a difference? Jack Butala: Do we need to take a break for a minute? Jill DeWit: Oh, no. Woo! Share the fun by subscribing on iTunes or wherever you’re listening. While you’re at it, please rate us there. We are Jack and Jill.